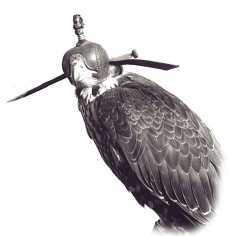 Falconry is an art. It requires long hours, constant devotion, finesse, subtlety and skill. The falconer must train a bird of prey to fly free, hunt for a human being and then accept a return to captivity. "Falconry is not a hobby; its a lifestyle," according to Ted Benzon, administrator for the falconry program for South Dakotas Game Fish & Parks Department. Falconers must devote time to their birds each and every day, 365 days a year. It is not for everyone. It is not a suitable pastime for children. In addition, it takes a thick skin. Animal-rights activists and some environmentalists condemn falconers; some hunters claim falcons interfere with "their" hunting; and many falconers have lost a bird to inept or ill-intentioned hunters. A fledgling falconer should begin with knowledge. The beginner must learn about the various gaming birds, their stages of life, characteristics, prey, care, feeding and suitability for the falconer and the hunting environment. Some medical knowledge is a must, too, because a falconer must be able to recognize and treat health problems. Thats not all. Dont forget learning about proper housing for the birds, and knowing how to use the equipment. Another factor to keep in mind: a falconer must know the rules and regulations that affect the sport and the laws that apply to birds of prey.